As large as the search engine Google may be; as large the influence of Google’s technology has played in many of our lives, their operations have always been kept a secret. We get the rare basking opportunity to hear from someone behind the spam team, or to check out pictures of those horrifying real Google Cars, but we’ve never gotten to see how all of this is made possible. 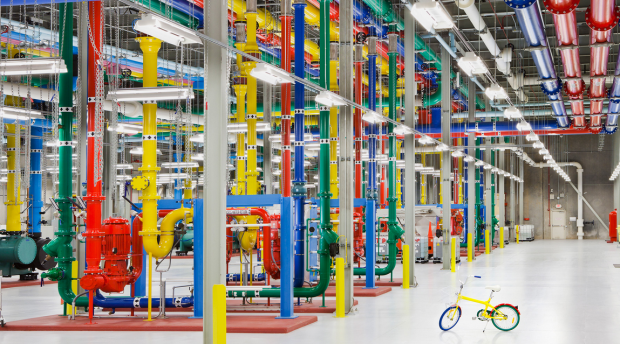 In the tiny town of Lenoir, North Carolina lies one of the eight data centers of Google â€“ the strongholds of information that serve as the â€œgutsâ€ of Google. Up until today, they were for exclusive eyes only in a continuous mission to maintain security and anonymity for both the company and the one billion people who utilize Google in some fashion or another. For reasons not completely known other than a publicity move, Google has decided to allow users everywhere to get a view inside the oddly-colorful centers. 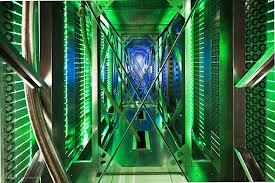 Through Google Street View, users can take a tour of the many rooms of the data center, exploring an endless array of mythical sized multicolored pipes for HVAC systems, as well as massive computers storing who knows how much data. There’s obviously really nothing that could really be picked up from looking at these photos that we don’t know about Google already. Their public offices are known for being extremely unorthodox for a work environment. Plenty of color, lots of ping pong tables, and Legos…lots of Legos. They have shown that they even like to make their data centers plenty of fun as well, although one person was reported to have described a walkthrough of the center as a boring scenario out of a Doom game. I am not one to believe that though based on the pretty wild pictures that I had the chance to see. One picture featured a behind the scene look at one of the server aisles, in which a multitude of LED green lights spark up the space. 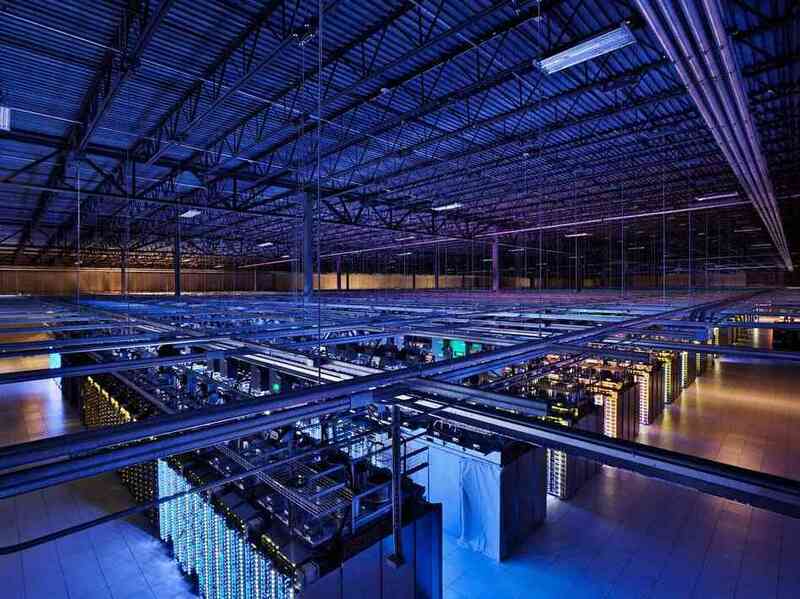 There were also photos from the Council Bluffs, Iowa data center as well, which provided even more freakish futuristic warehouses that stores an unimaginable amount of information. Seeing these photos give a first glimpse into the degree of power and influence that Google has over the Internet as a whole, not to mention the vast amount of energy that they must have to use to keep centers such as these going. But this is the first time that we are getting a true idea of our modern technology that we might take for granted everyday. Hopefully Google will continue to open up more about how they work â€“ without sacrificing security of course. Sophia Lirendo is a tech blogger who follows around anything Google related. She is also an avid internet marketer and enjoys pushing the benefits of DirecTV in Vermont. Previous: Red Bull Stratos, Skydiving from the Stratosphere at Mach speed! [UPDATE] It was a success!